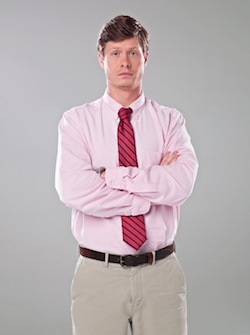 Comic actor and writer Anders Holm, a 2003 University of Wisconsin–Madison graduate, will be the speaker for spring commencement ceremonies on May 18 and 19. As a relatively recent graduate, Holm, 31, thinks he can deliver a relevant message to the new grads. A history major, Holm credits communications classes he took his junior year with reigniting his passion for writing, film and television. The cultural activities at UW played a key role in propelling him to acting and writing, Holm says. Holm is married to Emma Nesper Holm, a 2004 UW–Madison journalism grad who works as communications director for Venture Strategies Innovations, an Irvine, Calif.-based nonprofit dedicated to improving women’s health in developing countries. Emma’s father, Larry Nesper, is a professor of anthropology and American Indian studies at the university. “He is a wonderful son-in-law, in part because he is so genuinely appreciative and respectful of the very valuable work that Emma does in international women’s health,” says Nesper. An Evanston, Ill., native who was a member of the UW swim team, Holm is one of the creators, writers and stars of the Comedy Central sitcom “Workaholics.” In the show, he and co-creators Adam DeVine and Blake Anderson star as three post-college roommates working telemarketing jobs by day and goofing off by night. The show is popular among 18-24 year olds, scoring an average of 1.4 million viewers in its third season. The show has been renewed for seasons four and five. Commencement speakers are selected and recommended by senior class officers. Aimee Katz, the senior class treasurer, says Holm was one of several alumni considered. She’s looking forward to hearing how he connects his UW experience with his accomplishments. 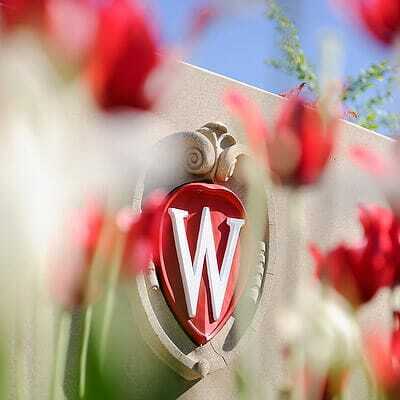 “I was pretty sure I lacked the wisdom to be the commencement speaker, but after stewing over the idea for about 48 hours, I decided that if the senior class at the University of Wisconsin wants me to come speak, I’ll do whatever they ask me. I love that school,” Holm says. Friday, May 17, 5:30 p.m.
Saturday, May 18, 10 a.m.
Saturday, May 18, 2:30 p.m.
Sunday, May 19, 10 a.m.
Sunday, May 19, 2013, 2:30 p.m.
Bachelor’s and master’s degrees from the College of Letters & Science majors I through Z (international public affairs through zoology). Candidates in L&S with more than one major attend the ceremony for the major that comes first alphabetically.